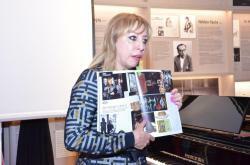 The event timed to the 101st anniversary of composer was held at his House-Museum, Trend Life reported. The evening was organized by the State Museum of Azerbaijan Musical Culture. 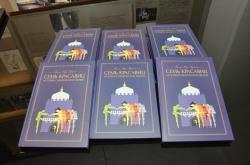 The book entitled "Gara Garayev`s ballet Seven beauties. History of scenic life" was also presented. 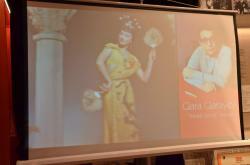 A photo exhibition dedicated to composer was held as well. Deputy Minister of Culture of Azerbaijan Sevda Mammadaliyeva, Chairman of the Azerbaijan Union of Composers of, People’s Artist Firangiz Alizade, famous cultural and art workers attended the event. 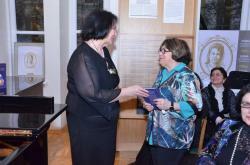 In her speech, the director of the State Museum of Azerbaijan Musical Culture, Honored Worker of Culture Alla Bayramova stressed the composer’s contribution to the Azerbaijani music. 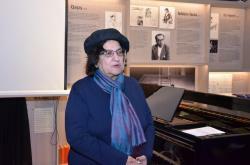 She underlined that in 2018, President Ilham Aliyev signed an order on October 17 to mark the 100th jubilee of the legendary Azerbaijani composer. 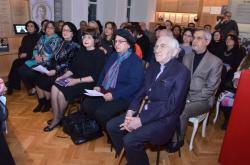 The birthday of composer was marked with a series of events both in Azerbaijan and abroad. 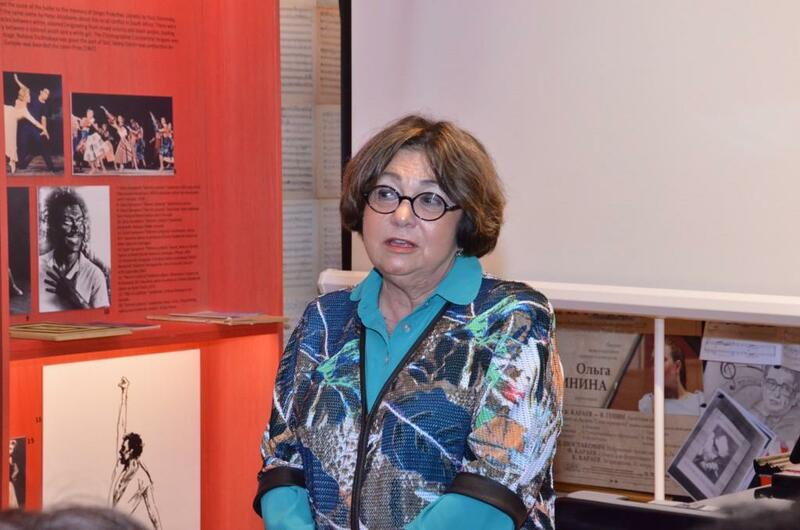 The daughter of the great Azerbaijani composer, famous pianist Zuleikha Garayeva, secretary of Azerbaijan Union of Composers of Azerbaijan, professor Zemfira Gafarova told about the book, the author of which is Ph.D. in art history Natalia Dadasheva. The book tells about the history of the ballet "Seven beauties". It provides information about the famous ballet masters, conductors, artists, as well as photos of ballet dancers, posters and programs of performances staged over the years. 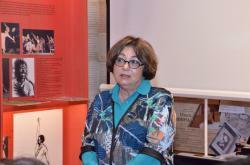 In her speech, Natalya Dadasheva informed the guests about the book. Seven Beauties is a ballet composed by Gara Garayev in 1952. The libretto by I. Hidayetzade, Yuri Slonimsky and Sabit Rahman is based on motifs from Ganjavi’s Seven beauties poem, written in 1197. In 1949, Gara Garayev wrote the symphonic suite of the same name. It was performed the same year by the Azerbaijan Symphony Orchestra under the direction of maestro Niyazi. The idea of ​​creating a ballet was suggested to the composer by the chief director of the Azerbaijan Opera and Ballet Theater Ismayil Idayatzade. The libretto was originally written by him and playwright Sabit Rahman. In 1951, music was added and a new work was discussed at the Azerbaijan Union of Composers. However, Idayatzade did not see the ballet on stage. Unfortunately, he died in November 1951. The first staging of the ballet was held on November 7, 1952, in the Azerbaijan State Academic Opera and Ballet Theater in Baku. National instruments were used in orchestration of the ballet. The ballet was staged by the outstanding Russian ballet master Pyotr Andreyevich Gusev. Fascinating ballet music was the key to a happy and long scenic life of the work. The great Soviet composer Dmitry Shostakovich highly appreciated the music of his pupil. After the premiere in Baku, Shostakovich wrote: "The strength of this ballet is in its music.". On November 24, 1953, the premiere took place on the stage of the Leningrad Maly Opera and Ballet Theater. The ballet was staged by P. A. Gusev. Ballet immediately won the hearts of the audience. The new, second edition of the ballet was made by Gara Garayev with the participation of Yuri Slonimsky and Peter Gusev in 1959 and was presented in the same year during the Decade of Azerbaijani art in Moscow. In 1970, the Azerbaijani ballet was enthusiastically received in France. Over the years, ballet has been successfully presented on many stages of the world.